SUMMARY: #1 NEW YORK TIMES bestselling author Joel Osteen uses his seven successful principles from YOUR BEST LIFE NOW to give readers an edge on new beginnings and to make their faith count most in important moments. Making room for increase . . .
Is this as good as it gets? Or can you enjoy more of what life has to offer? Not only can you live happily every day, bestselling author Joel Osteen suggests you must discover the potential within yourself and learn how to use it to live better, and to help others better themselves as well. God didn't create you to be average. You were created to excel! You have everything you need to fulfill your God-­given destiny, and there is no limit to what you can accomplish if you discover how to be a better you! In Become a Better You: 7 Keys to Improving Your Life Every Day, Joel Osteen, America's best-­known pastor, will inspire and motivate you to live with more joy, hope, and peace -- truly a life of victory! Joel will help you look deep inside yourself to become a better spouse and parent, a better boss or employee, a better community leader, a better friend -- in short, a better person! 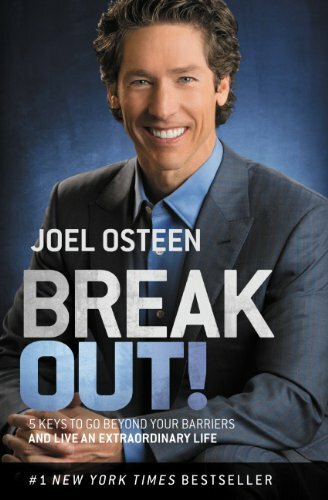 Joel Osteen reveals seven simple yet profound principles that when taken to heart will help you . . .
God's Word is Truth. It is the very character and essence of God in written form. As you study the Scriptures with an alert mind and a receptive heart, you will be strengthened, empowered, and filled with the hope that comes through a loving and growing relationship with Jesus Christ. We are who the Bible says we are, we can have what it says we can have, and we can do all that it promises we can do. 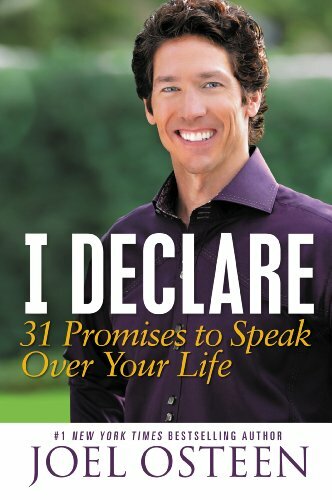 This is the heart of the message that Joel and Victoria Osteen share every week with an audience of millions around the world via television, the internet, and worship events. Their practical, uplifting message of hope found in Christ has changed the lives of individuals, impacted families, and literally transformed communities. They place an incredible value on the principles of the Bible, which have a miraculous, life-­changing impact on anyone who is willing to study and obey its truths. is filled with insights, notes, and encouragements from Joel and Victoria designed to help you . . .